The start of another one of Tang Qi Gong Zi’s tale of a past life and present life. If persistentness in the end will still be in vain, who would use up this life to entirety, only to watch over an untouchable love? If a persistant attraction of more than two thousand years, is to be put down right now, to be cut off, would there be tears to be poured? Even if honored with the status of a God, Dong Hua would still perish like features. Even as the female monarch of Qing Qiu, Feng Jiu would still fade away in time. Although what is unknown, is that when wind and clouds are gone, when he is still walking through never ending years and ages, and occasionally brushing past her, this once legacy making God, would he still be able to remember, from his former days, that little red fox with a patch of snowy white fur on her forehead that had once rested between his sleeves. That commanding Queen of Qing Qiu of ancient times from the deity clan, whether she can still remember he plucked a strand of Fuling flowers for her in the bygone era. Two thousand years of obsessions, but in exchange for many missed opportunities in love. If ultimately we have no chance to be together, so why let us meet each other in this life, a glance a million years? In the middle of a foggy dream, one walks through whose shadow, destroys whose yearning, and buries whose current life and past life? There is a saying that the feeling is deep but the fate is shallow. She is the one with deep feeling but her fate with Dong Hua is shallow. There is a word called unfortunate. She is unfortunate so she met him. He is also unfortunate so he missed her. How does the Mandate of Heaven determine our predestined relationship? One person’s doubt, everyone get caught in a vortex. This novel is without a doubt one of the best novels I've read. I came to read the book after watching the drama "Eternal Love" and I wasn't satisfied with the ending of the drama since Dong Hua and Feng Jiu were not the main leads. If you are looking for romance novel with solid plot, this one is for you. I thought it was supposed to be sweet and learning the history of the two in more detail. Oh Boi, was I wrong? This novel jerks my emotion to really... more>> felt for them. You will be seeing how Feng Jiu pursue Dong Hua (not surprising), and at a point of time, Dong Hua pursue her back. Highly recommend to EVERYONE. If you are into historical drama, that's the bonus, you will enjoy it. The story is about two people who does not have fate for each other but they defy destiny. Like one time Dong Hua said "So what if Destiny says we're fated, and so what if it says we're not? I've never feared Destiny and I certainly don't need its charity". Started when a rescue our hero Dong Hua did for our female lead Feng Jiu. The favor ripples. She came to pay her gratitude to him. She later became a fox after having helped him and later he took her in and treat her like a pet (you know, cuz she was in the form of the fox). Fast forward, she left him with broken heart (I think it is for the better). Many years later, they meet again even destiny was written for them to never crossed path. Dong Hua learnt that if he were to take a queen, she would be THE QUEEN. (Aww). He went to find her and come to know that she is in trouble gotten stuck in a dream created by somebody. He uses the opportunity to win her back. How much I wish the ending to be longer. I hope to see their life together afterward. They have a son together. I want to see how the child react when he found out Dong Hua is his father. At first, I thought Hamster428 translated only two volumes of the book and that this story isn't truly finished yet, hahaha. I never guessed that s/he'd translate ALL TWO BOOKS of the story with precise wording and sentence construction. S/he even made it look like a real novel in PDF form. 👏👏👏 The Pillow Book is all about how two deities tie their own fate even when they don't have the "string of destiny" that binds them together. The FL's still a new deity and isn't very old yet, but the... more>> ML is very powerful and is as old as time itself. This novel is so beautiful, it describes details so so well, you can just imagine it in your mind. The comedy and romance made it a whole lot better too! One thing I'll warn you about though! It's rip your heart out, make you cry, and seriously the author is so meaaan!! After watching Three Lives Three Worlds: Ten Miles of Peach Blossoms (TV drama starring Yang Mi and Mark Chao), and reading To The Sky Kingdom (the official English translation of book, available from Amazon), I turned to the English fan translation of the sequel book, Three Lives Three Worlds: The Pillow Book in order to get my fix. The book starts off with Crown Prince Ye Hua's wedding procession to pick up Queen Bai Qian from her Fox Kingdom. To the astonishment of the onlookers, the prestigious Emperor Emeritus Donghua Dijuan, Starlord SiMing, and the Third Prince of the Heavens, Lian Song accompany the wedding procession. And that's when Donghua Dijuan remembers first meeting our heroine, Bai Fengjui of the Fox Clan, as she rises from the lake while Siming is gossiping about her. The drama and movie adaptations for both books (Ten Miles and Pillow Book) were purchased by different companies, so although each couples' stories ran through both books, each company couldn't adapt part of the other book. As a result, part of Donghua and Fengjui's story in Ten Miles of Peach Blossoms TV drama was made up. (when she keeps on running into him in the heavenly palace while she stays with the newlywed Bai Qian for a short visit), and when he chases after her for the rest of the book. falling in love for Fengjui and chasing her all over the place. There are sooo many scenes of Donghua being shameless and scheming to stay close to Fenjui. which is another whole story arc. I had to read the novel a few times to figure it out. happy ending, eventually. You have to read past the final chapter to the included and online epilogues to see their happy ever after. happy, awake, in love, and dealing with the little dough and their boy. If you enjoyed Three Lives Three Worlds Ten Miles of Peach Blossoms, I highly recommend this book to read. We even get to see Moyuan again! Also, it's true that the Pillow Book is an even better story/novel than Ten Miles of Peach Blossoms. And a native Chinese reader told me that the original Chinese version of the Pillow Book was a great romance. Also, Dilraba Dilmurat and Vengo Gao will be reprising their roles as Fengjui and Donghua, respectively, in the 2019 TV drama of Pillow Book! There's been news about how this novel will be adapted into a drama coming out in 2019. I don't know if all the actors are the same but so far it's been said that Vengo Gao who played DongHua and Dilraba Dilmurat who played Bai FengJiu in the Drama for the first book of Three Worlds Three lives Ten Miles of Peach Blossoms aka External Love, will also continue to play those characters for the drama of the pillow book adaption. ---> Hamster428 has a EPUB copy of the fully translated work, so for those interested, you can find it on Hamster428's website! I have read and reread this book about a million time already and I can not get enough of it. It is beautifully written. I just love the plot line and Fengjiu character so much. It's just the ending really pissed me off. I mean, I really like it. What I hate was how the author left a cliffhanger for us and never gave us the third book. But I highly, highly recommend this book, way more than Ten Mile of Peach Blossom. Wow, I'm so surprised that there are not more reviews. I've read the precursor novel and found it interesting. However, The Pillow Book, is my love child. It's an amazing novel series where you really experience the circus of human emotion. What sold me to this book was Dong Hua. I mean, is anyone ever going to live up to how awesome he was in these books? (Maybe, Bo Jinyan... lol). But more seriously, if you like the concept of unrequited love, trails and tribulations, fantastical mythology, and a romance thats... more>> diabetically sweet, then this is the book for you. A heart breaking story from a beautiful fox, and a powerful ruler. I cried because of the female lead determination. I was surprised by the male lead sacrifices. Why did it stop there?! Whyyy? Damn it. What a cliffhanger. I need more family moments with Bai Feng Jiu, Donghua Dijun, and Bai Gungun... T^T I want extra chapters!! When I first watched the drama "Eternal Love", what hooked me in wasn't the main love interest (Bai Qian and Ye Hua), but the bittersweet romance between Feng Jiu and Donghua. 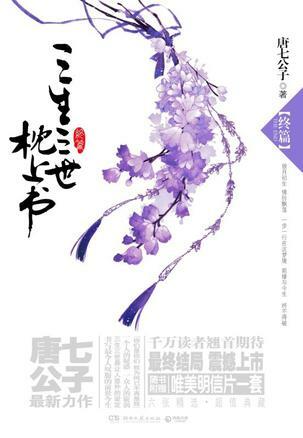 So I'm very happy to be able to read the Pillow Book and the fact that I heard (not confirmed yet) about the upcoming drama adaptation of the Pillow Book and the continuation of my favorite characters' love story. Loved this novel, wished the drama had a happy ending for them. Really want to see a drama for them, with same actors, but that's unlikely (sad face). Read it so many times and cried every time. Wish there's a continuation go I get to see more of Gun-Gun. Can't wait to read the next novel!